This year we are delighted to congratulate Sandrine Piau, Christophe Rousset, Les Talens Lyriques and Naïve upon the award of first prize for their recording of Italian opera arias from Handel’s London operas. We congratulate them for producing such a distinguished and exemplary recording. The panel’s overwhelming verdict in favour of Opera Seria confirms that is a superb recital on every count: stimulating, well-thought out and far from hackneyed repertoire, excellent orchestral playing, and glorious faultless singing imbued with both taste and feeling. It is unusual for a recital disc to provide such a satisfying and stimulating experience, yet Rousset and Piau have devised a programme that is a sublime exploration of Handel’s operatic genius. It is an annual award given to one distinctive new recording of Handel's music. Hitherto known as The International Handel Recording Prize, it is chosen by a specially invited panel of respected scholars and journalists who each possess a special and informed interest in Handel’s music. In some respects it was influenced by the now defunct American Handel Society Recording Prize (1991-1998), but in 2002 an international panel of judges inaugurated a broader forum to nurture recognition to a new recording of Handel’s music of noteworthy quality. This year’s winner was chosen by judges from Australia, France, Germany, Italy, Russia, England and the U.S.A. The winner is carefully selected from a comprehensive list of all new recordings of Handel’s music released during the previous calendar year. The winner must satisfy tough criteria: it needs to combine fine interpretive quality with a penetrating or valuable insight into Handel’s genius. Thus this Prize is an indication of a disc’s quality and its contribution to Handelian knowledge. The panel of judges constitutes respected Handel musicologists and journalists who can discern those recordings which make valuable contributions to the discography. Furthermore, this prize is purely idealistic: it is an indication of a genuinely special recording, and is designed to encourage unique and supportive recognition from a cross-section of those who care most about the music itself. One of the prize’s founder panel members was the scholar, author and critic Stanley Sadie. Due to illness Stanley was unable to vote this year, and sadly he passed away in March 2005. We shall miss his brilliantly perceptive reviews of Handel recordings in The Gramophone that were notable for their enthusiasm, erudition and joy for the music. 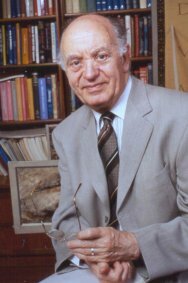 The Panel wishes to recognize Stanley Sadie’s devotion to Handel recordings during his distinguished career, and is honoured to rename the prize in his honour. The Prize has unparalleled integrity and standards, which is a fitting testament to the perceptive and accessible critical style of Stanley Sadie, whose love for Handel‘s music was influential upon thousands of music lovers. Unlike such prizes awarded solely by scholars, or only by critics, our panel comfortably blends the commonly opposed perspectives of historical musicology and constructive criticism. We hope that this is warmly accepted as an appropriate legacy of Stanley Sadie’s unusual ease at mingling enjoyable journalism and superb scholarship together. Live recording 1968: English Bach Festival Orchestra; Anthony Lewis; Ponto. Collegium Cartusianum; K ölner Kammerchor; Peter Neumann; MD&G. Live recording 1950; Coro e Orchestra del Teatro San Carlo Napoli, Herbert Albert. Walhall. Capella Augustina; Andreas Spering; CPO. Il Complesso Barocco; Alan Curtis. DHM. Kammerorchester Basel, Paul Goodwin. Oehms. The King’s Consort; Robert King. Hyperion. Concerto Polacco; Wolfgang Helbich. Naxos. Stuttgart Chamber Orchestra, George Petrou, MD&G. The Gabrieli Consort; Paul McCreesh. DG Archiv. Capella Augustina; Andreas Spering; Harmonia Mundi. Opera Fuoco; David Stern. Arion. Les Arts Florissants; William Christie. Virgin Veritas. Il Complesso Barocco; Alan Curtis. Virgin Veritas. Renee Fleming (soprano); Orchestra of the Age of Enlightenment; Harry Bicket. Decca. Lorraine Hunt-Lieberson (mezzo-soprano); Orchestra of the Age of Enlightenment; Harry Bicket. Avie. Sarah Connolly (mezzo-soprano); Symphony of Harmony and Invention; Harry Christophers. Coro. Arcadia; Jacqueline Ogeil. Tall Poppies. 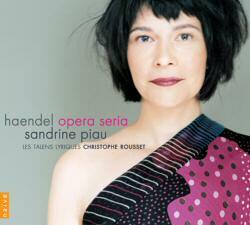 Sandrine Piau (soprano); Les Talens Lyriques; Christophe Rousset. Naive. Robert Expert (countertenor); Amarillis. Ambroisie. Ensemble La Passione; Thomas Fey (director); Accent. Christian Schmitt (organ); Stuttgart Chamber Orchestra; Nicol Matt. Brilliant Classics. Pamela Thorby (recorder); Richard Egarr (harpsichord / organ); Linn. Dorothee Oberlinger (recorder); Ensemble 1700. Marc Aurel Edition. London Mozart Players; Jane Glover (conductor); Resonance. Pasticcio oratorio arranged by J.C. Smith Jnr. and Thomas Morell; Joachim Carlos Martini (director); Naxos. Endnote: A live recording of Rinaldo (conducted by Nicholas McGegan and featuring Diana Moore, Dominique Labelle, Cyndia Sieden, Andrew Foster-Williams, and Concerto Köln) was not eligible for consideration because it is only available to members of the Göttinger Händel Gesellschaft (Göttingen Handel Society).